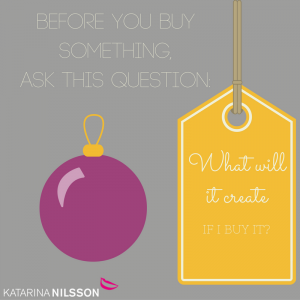 – What will it create if I buy this? – Will it create more for me, my life and living and the ones around me? – What will my life be like in 5 years if I buy it? Trust your knowing. Go for what is light. You know.